The teddy coat (also called teddy bear coat) is so named because of the coat’s texture’s similarity to the fluff of a teddy bear. These coats are as synonymous with warmth and coziness as a hot cup of cocoa. This plush, fuzzy coat can be made from real or faux shearling or fur. Whether a long coat or shorter jacket, these comfy coats are available at all price points. Hailey Bieber and Vanessa Hudgens show how the teddy jacket can be dressed up or worn with a casual look. Hailey Bieber opts for the ultimate casual style pairing her teddy jacket with khakis and white sneakers. Vanessa Hudgens in a more dressed-up look wears her teddy jacket with a mint green dress by Fendi. Hailey Bieber, Elsa Hosk and Karlie Kloss wrap themselves in luxurious comfort wearing the Teddy Bear Icon Coat by Max Mara. Hailey Bieber and Elsa Hosk keep things casual by wearing their teddy coats with jeans and athletic shoes. Elsa Hosk wears brown Max Mara teddy coat. Karlie Kloss dresses up her look by accessorizing her outfit with red heels and a black handbag. Karlie Kloss in navy Max Mara teddy coat. 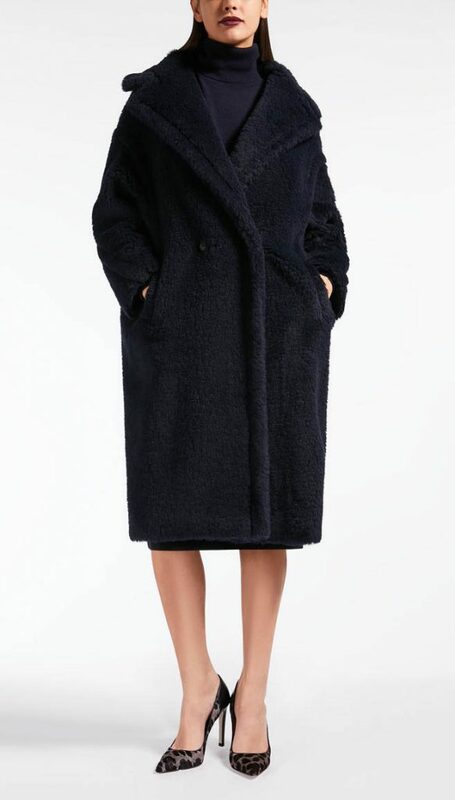 The Max Mara Teddy Bear Icon Coat is an experience in plush luxury. 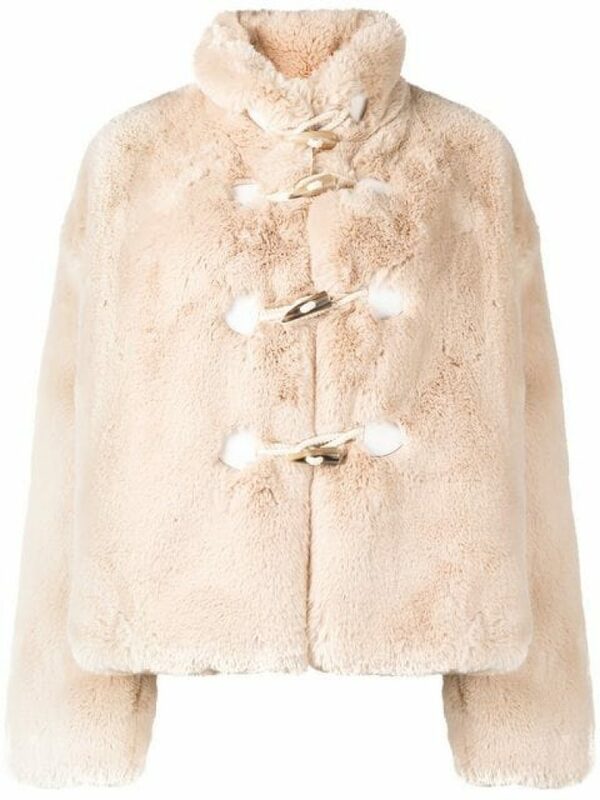 This teddy coat brand, which retails at $3,590, is a celebrity winter coat favorite. 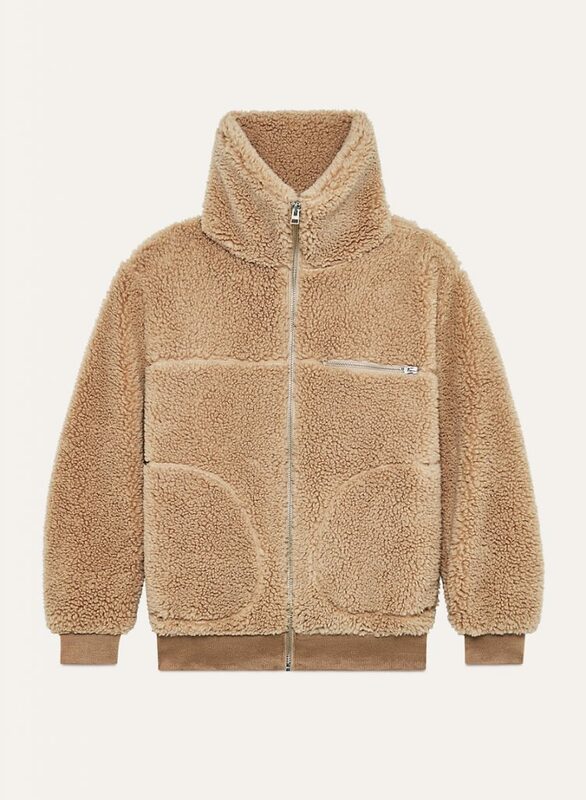 Brown and navy versions of the Max Mara Teddy Bear Icon Coat are shown here as worn by celebs but at the time of this article’s publication, this coat is also available in ivory and turtledove.